“The Ocean have fully realized and embraced their sound…the most complete and enjoyable experience one can have of this band.” (7/10) – Exclaim! The Ocean Collective‘s four-years-in-the-works return has been met with open arms and glowing reviews. 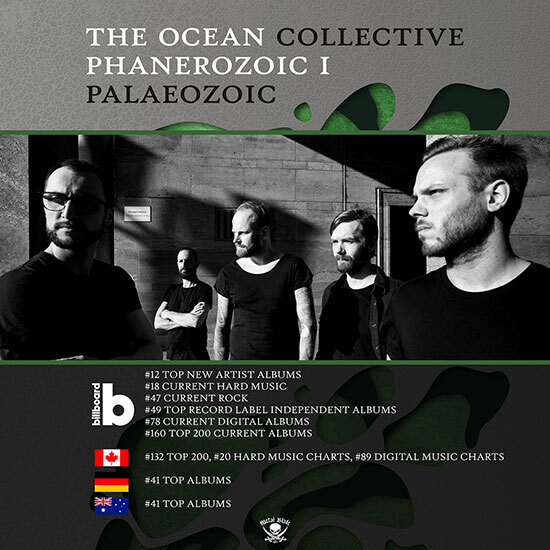 The post-metal masterpiece Phanerozoic I: Palaeozoic is currently sitting on the Billboard charts in the US, currently at #12 on Top New Artist Albums, #18 Current Hard Music, and more. The album has also been charting in Canada, Australia, and the band’s home country of Germany.